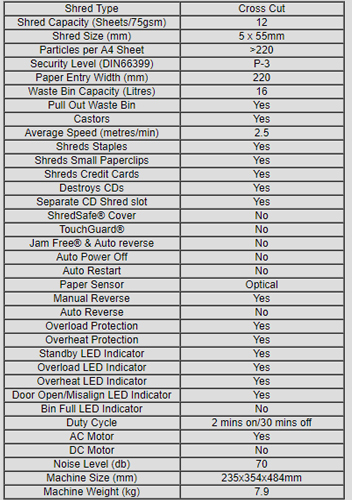 The Aurora AS1219CE is a cross cut paper shredder that will shred up to 12 sheets of paper at a time into secure 5 x 55mm pieces meaning an A4 sheet is shredded into over 220 particles. In addition it can also shred 1 credit card at a time and there is a separate slot for CD destruction. The AS1219CE has a compact desk side design with a dual paper entry slot so paper can be inserted from either side. The 16L pull out waste bin has a viewing window built into the handle and is easy to empty, there are also castors so moving the shredder around is easy. 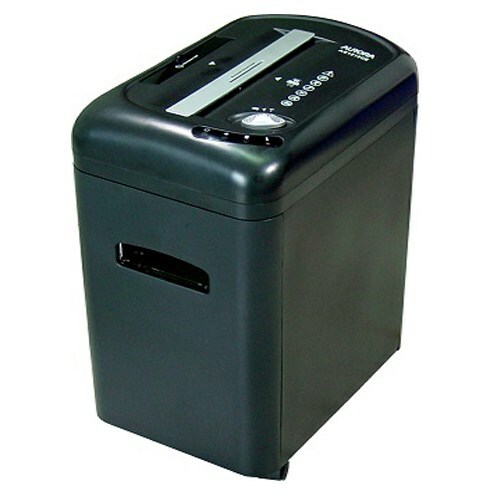 The AS1219CE has a compact design and is suitable for small offices and users who require a desk side shredder.